Discover the backstory of the Conservation Project of the Wall Paintings in the Chapel at Palazzo de la Salle! 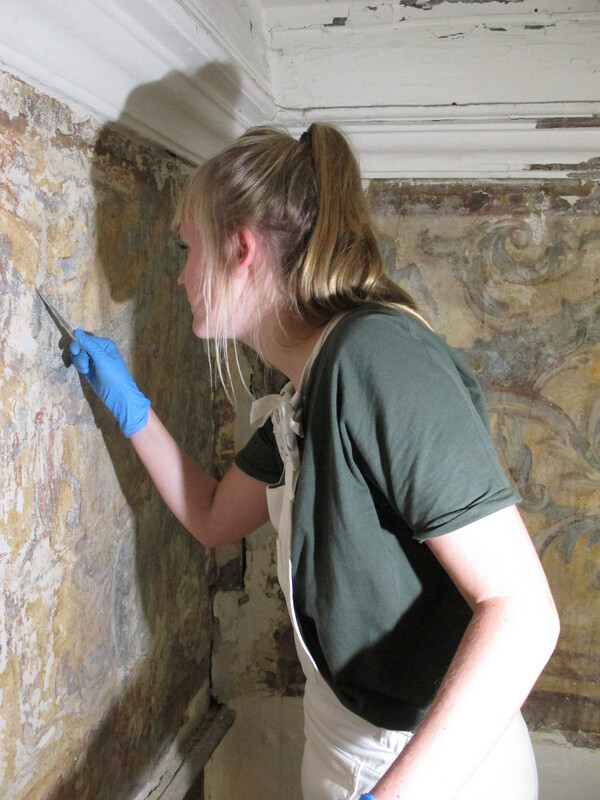 From 2016, the Conservation Team composed of the staff of professional wall paintings conservators of the Department together with the MSc students carried out the study of the wall paintings of the Chapel, from archival research to documentation with innovative techniques to scientific analyses. This involved the collaboration of the Department with researchers and institutions in Malta and abroad. Between 2017 and 2018, after the uncovering of the paint layer which was obscured by multiple layers of covering paint, the Team proceeded to the stabilisation of the wall paintings. The conservation treatments were carefully developed, tested and implemented on the basis of the study of the original materials and techniques and the deterioration phenomena encountered, always pursuing the highest standards in the conservation practice. 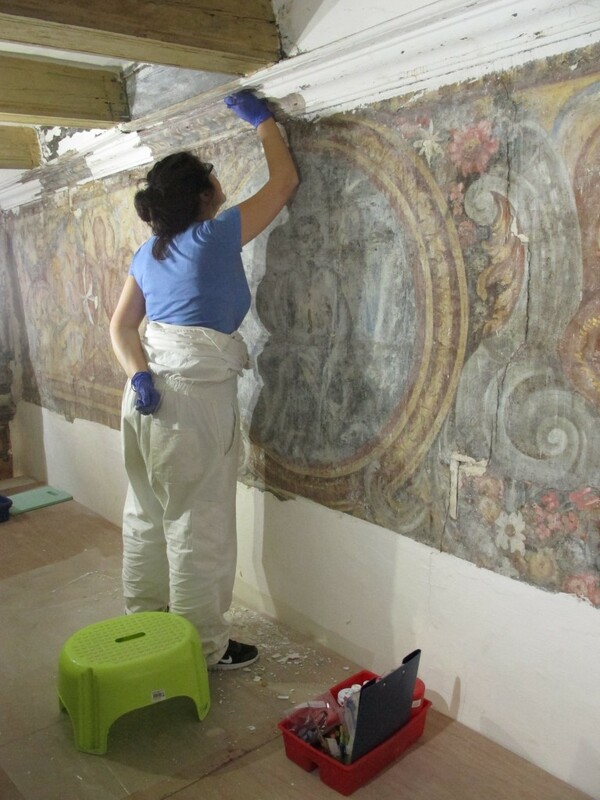 Dr Chiara Pasian is a wall painting conservator and currently Lecturer in the Department of Conservation and Built Heritage at the University of Malta, where she teaches at the MSc course in the Conservation of Decorative Architectural Surfaces, and supervises students in field projects. Pasian is strongly interested in applied scientific research and holds a PhD from the Courtauld Institute of Art, London. Beside academic research, she also works as an on-site conservator, having being involved in projects in collaboration with private and academic institutions in Europe, Asia and the Middle East.